My hand cannot reach a 10th so I have to reach and sort of 'jump' to the upper part of the chord. The first exercise seems the bigger challenge where my wrist sort of 'swings' to make the reach. I removed the example for Etude No.7 to focus on the thumb issue in Etude No. 1. I found this slow-motion video of Cortot's hand. Althought I don't know what is being played, because it is silent! 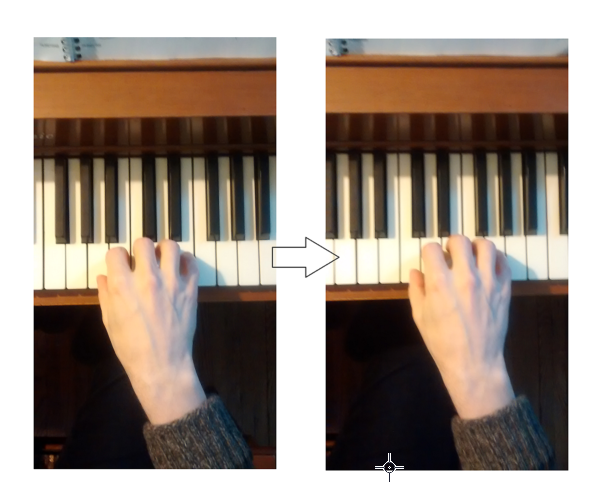 Cortot's thumb is obscured by the angle of the camera view, but it looks like he releases finger 5 quickly and does not contract his palm to move the thumb up to the next key. ...where I'm holding finger 5 on the E key while my thumb is moved to the C key. 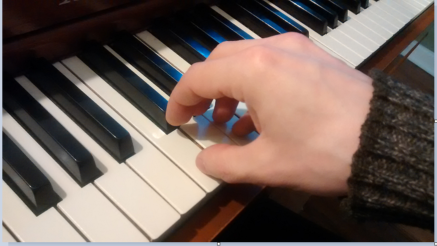 I have to squeeze or contract my palm to get the fingers to the keys in this manner. As if my fingers walk along the keyboard like a spider. The movement has to be as fast as a glissando and the thumb as to follow the whole hand, the whole right arm and elbow are involved in this movement.